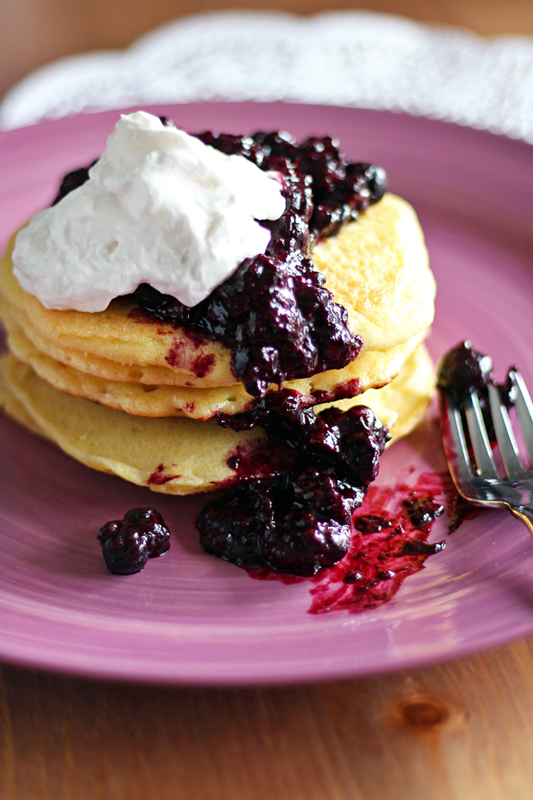 Make your pancakes from now on with coconut oil! It adds a delicious taste that reminds me of festivals and funnel cake. 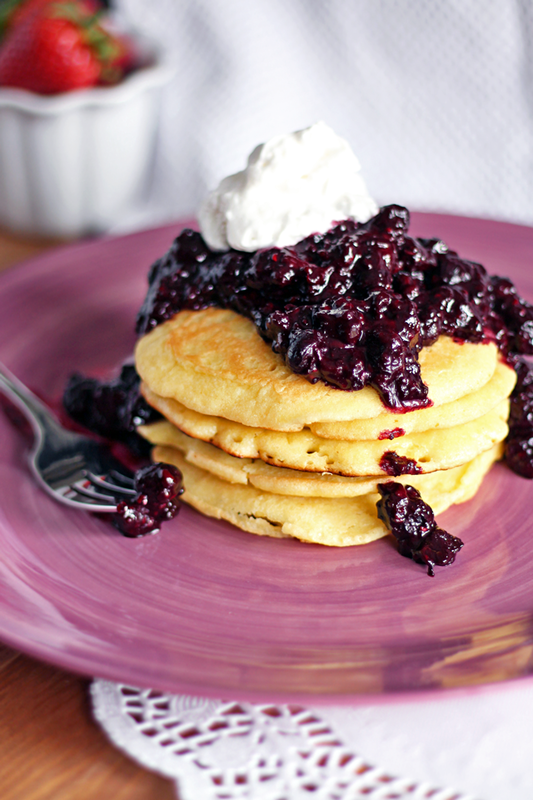 These pancakes are amazing with soy yogurt. If you can handle greek yogurt and would like to use that, go right ahead. Greek yogurt contains very little lactose. I especially prefer the FAGE brand for taste, texture, and comfort. 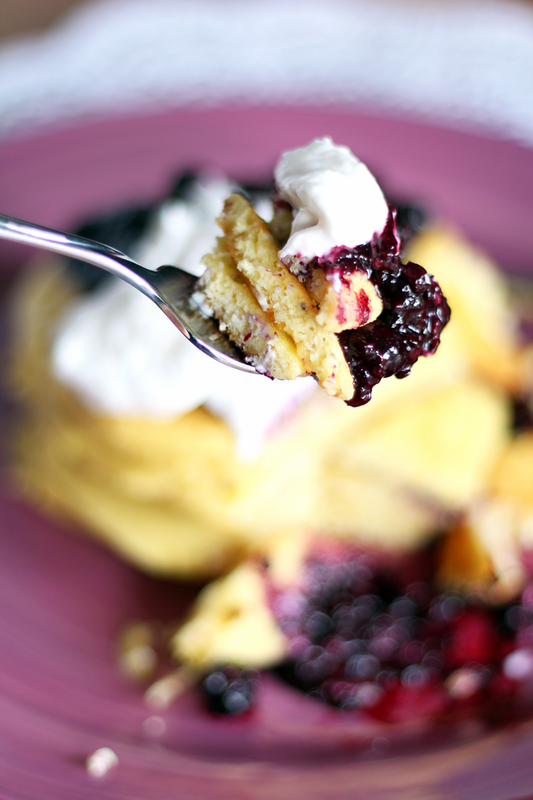 If you really want to get fancy add berries, chocolate chips, or even a fruit syrup swirl. 1. In a large bowl, stir together pastry flour, baking soda, and baking powder. 2. In a medium bowl, whisk together egg, soy milk, and soy yogurt. Pour liquid mixture into flour mixture and stir until blended. 3. Heat a nonstick skillet over medium low heat. Drizzle a spoonful of coconut oil onto the skillet. Ladle batter for each pancake using 1/3 cup measuring cup. Turn the pancake when air bubbles start to pop.